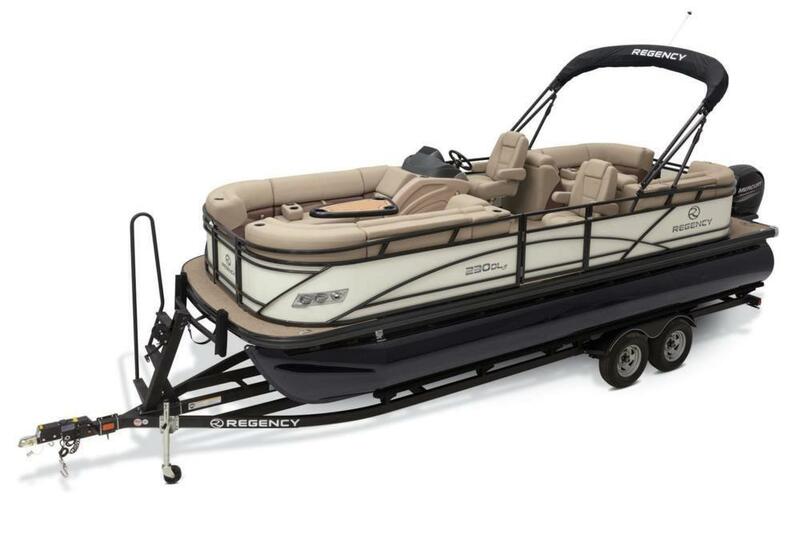 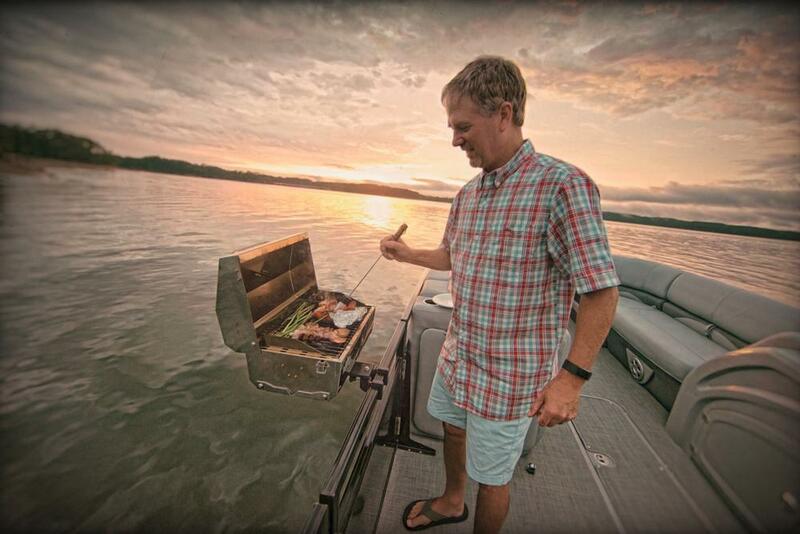 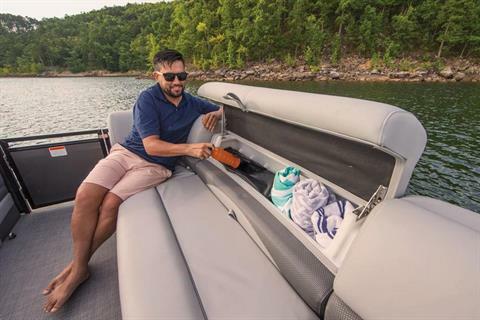 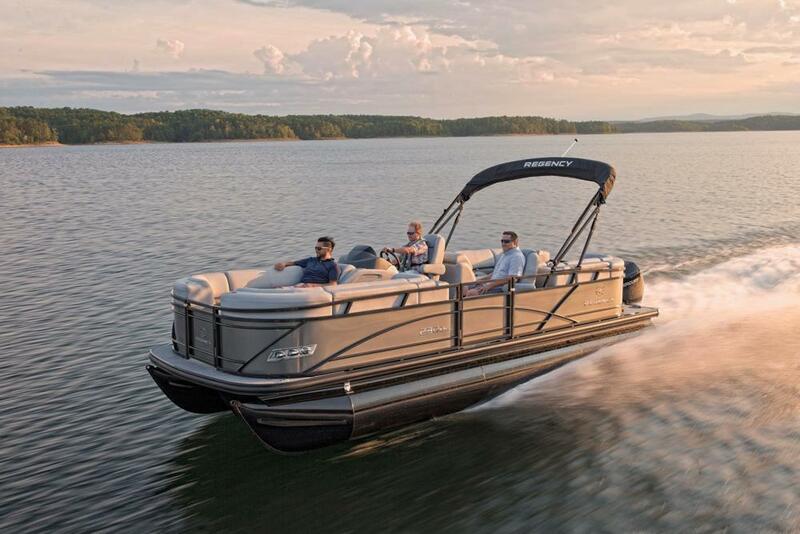 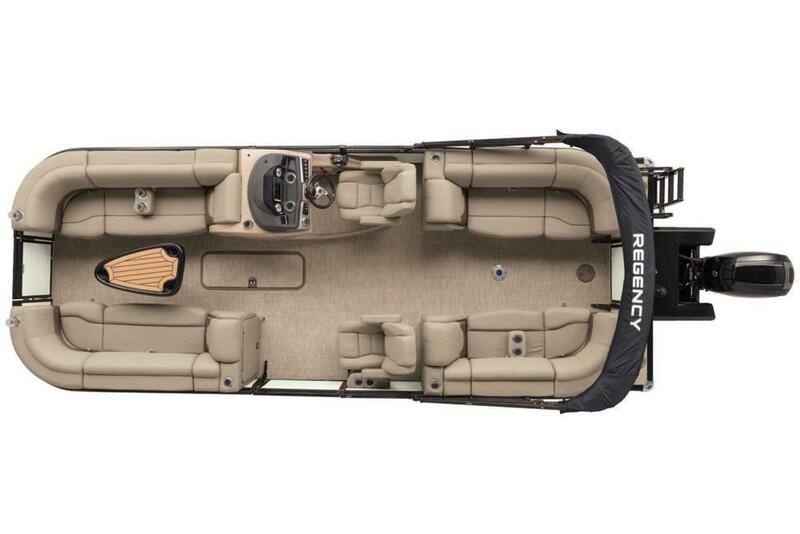 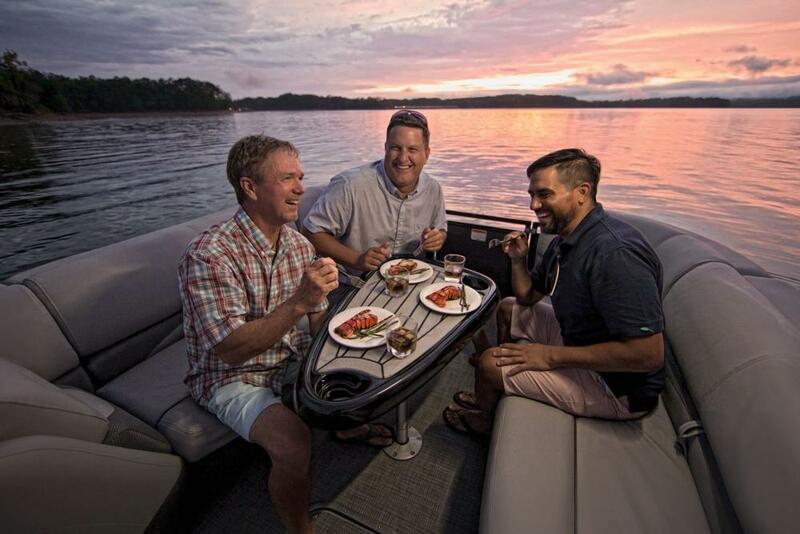 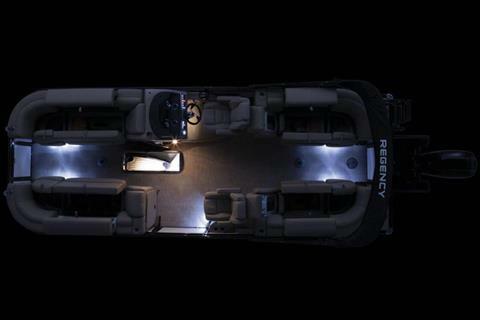 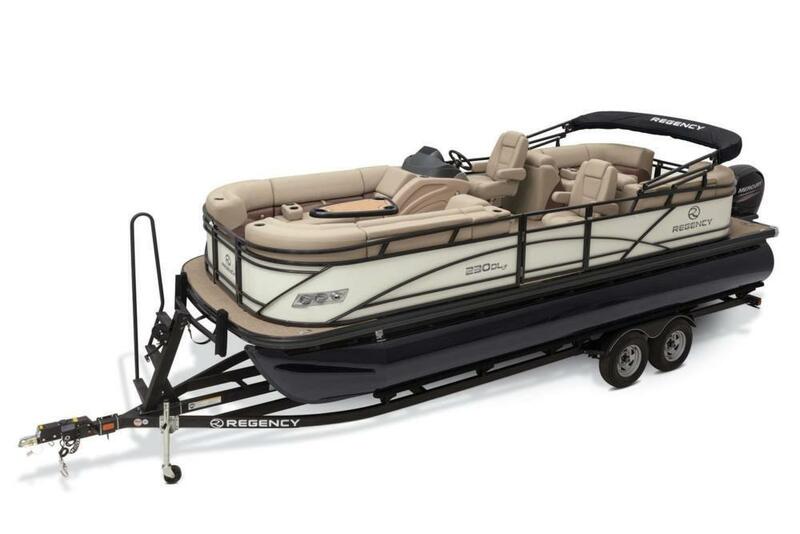 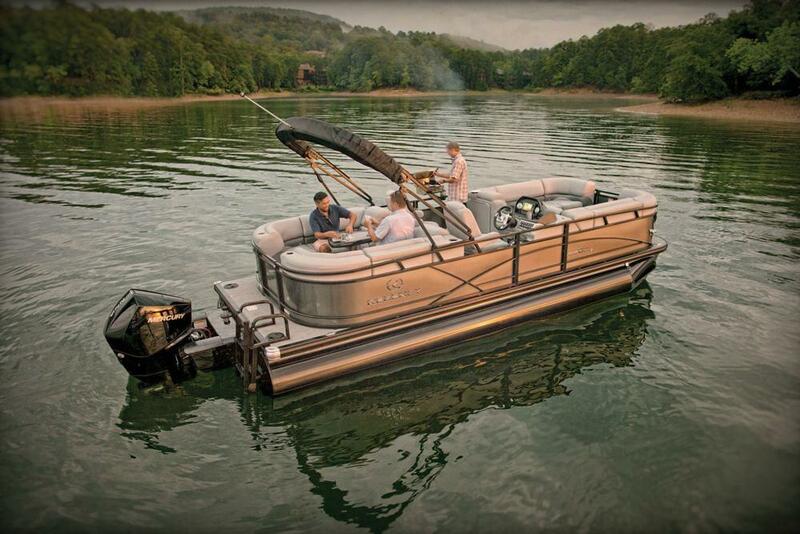 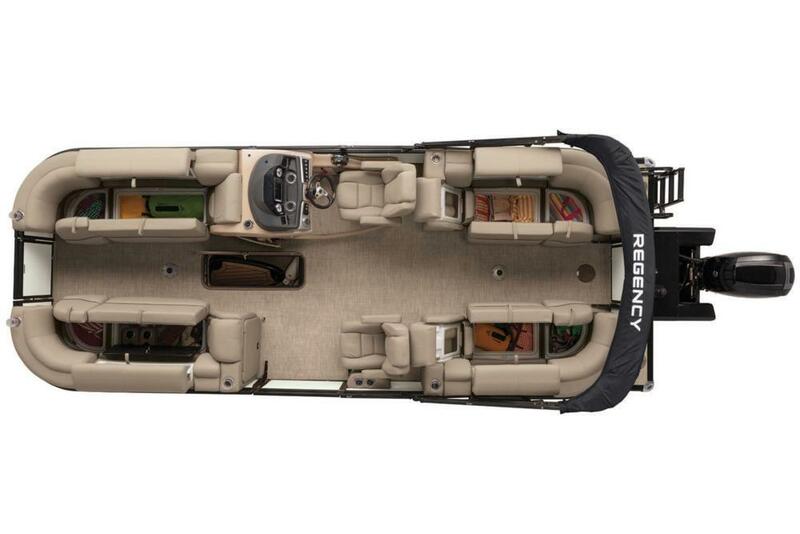 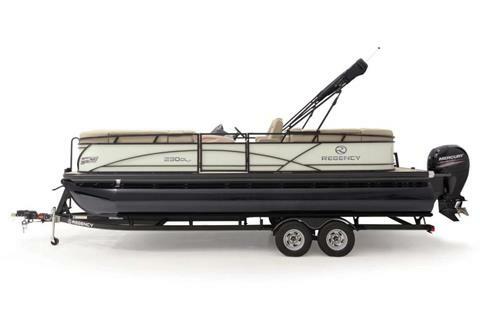 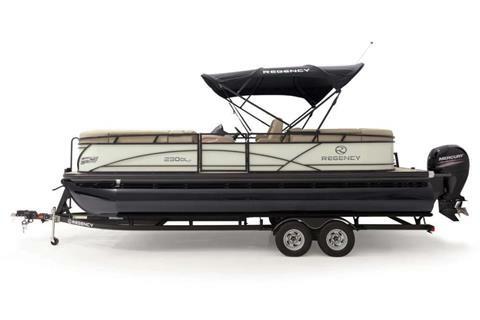 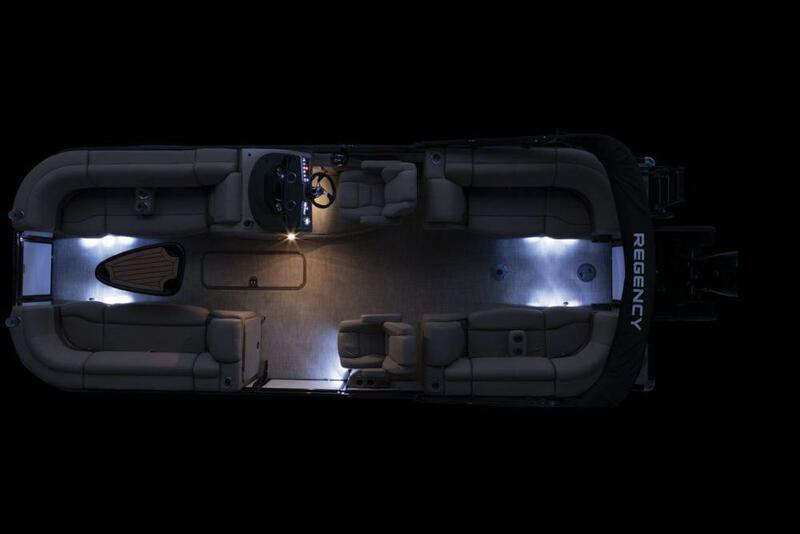 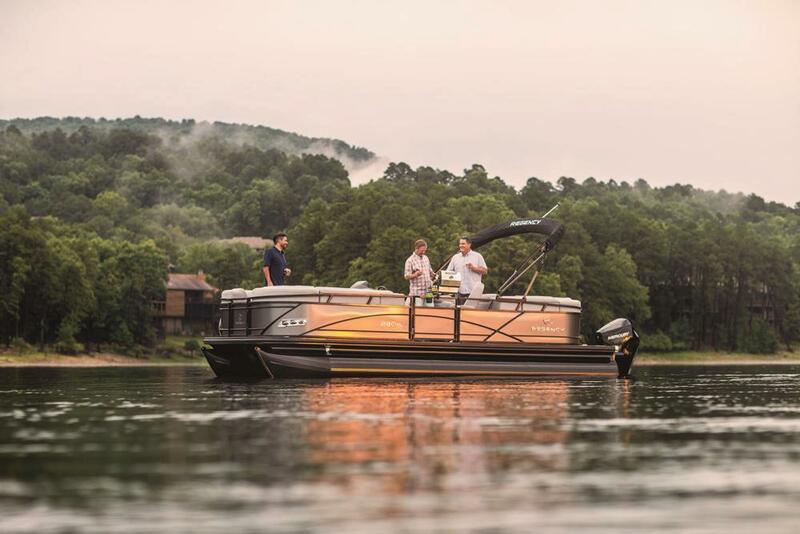 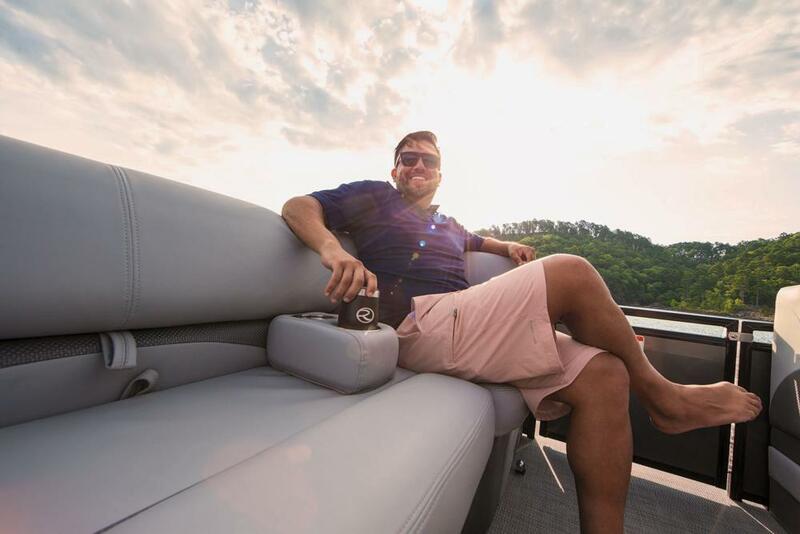 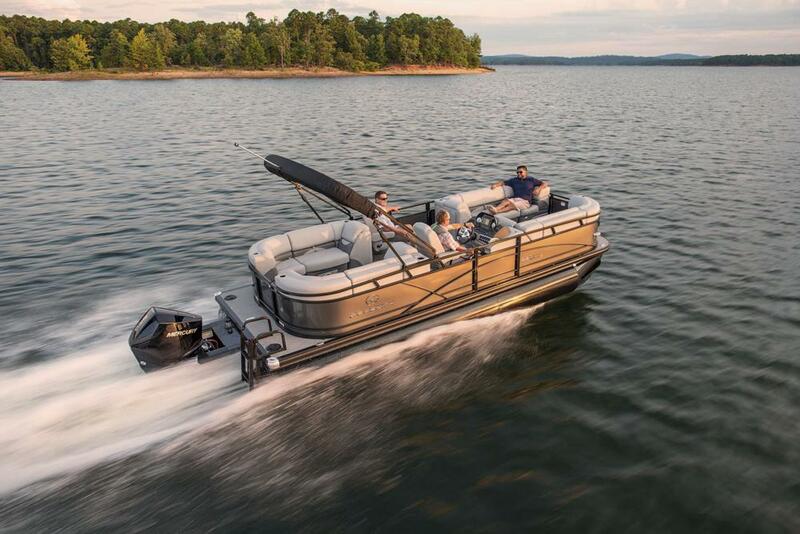 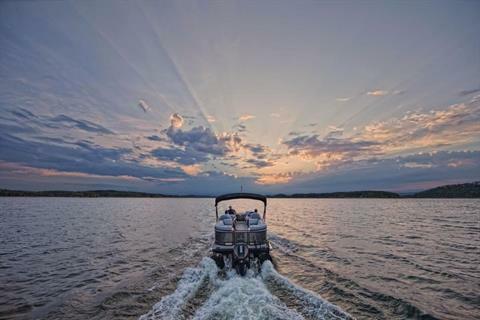 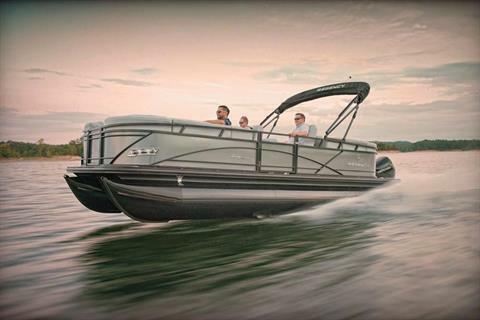 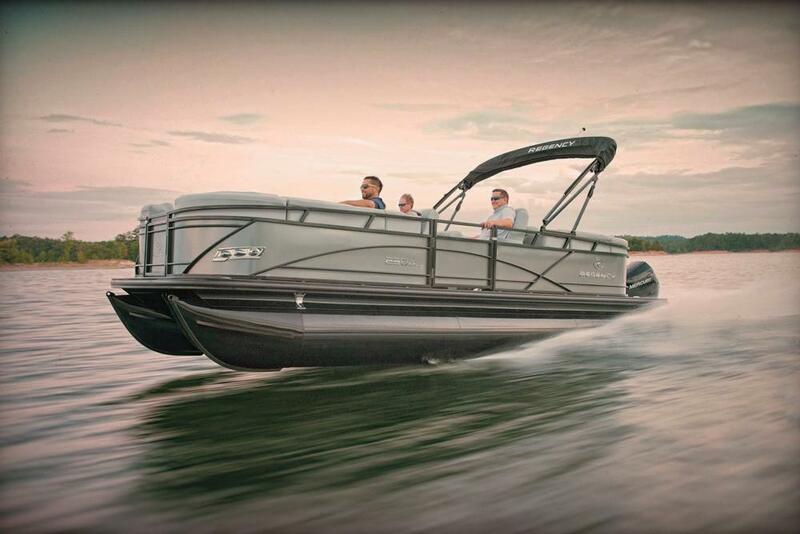 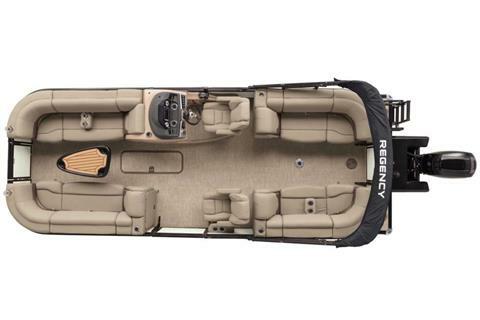 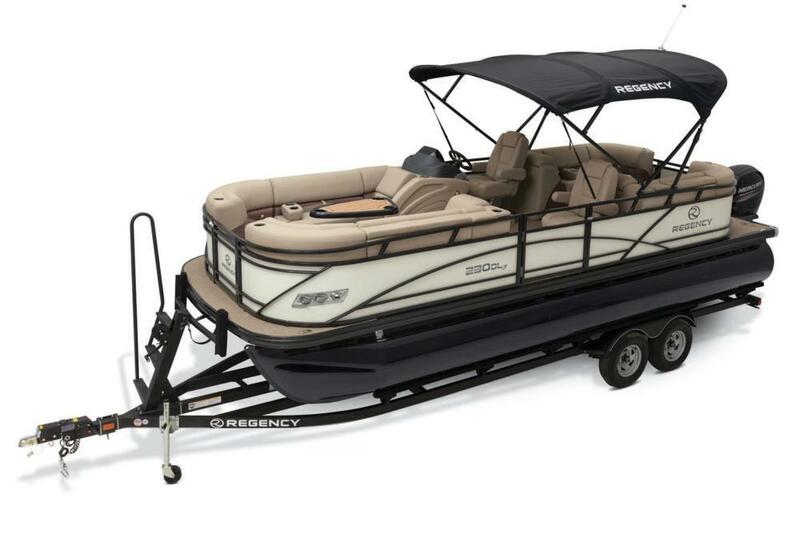 Take your pontooning experience to a new level with the REGENCY® 230 DL3, a luxury pontoon boat with everything you need to entertain family and friends right. 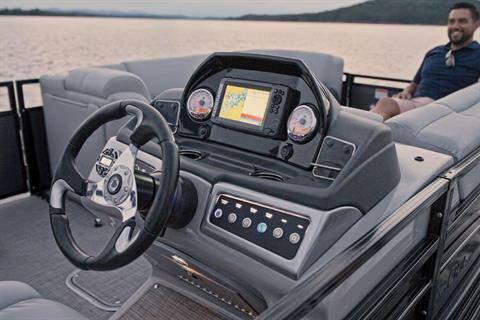 Starting on the outside, you’ll find a three-log performance package which provides higher top-end speeds and enhanced handling for watersports and cruising. 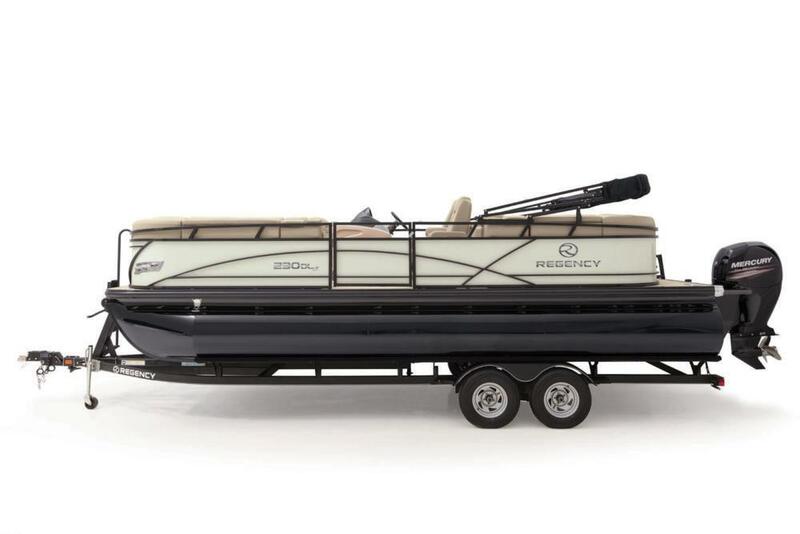 For style, the Diamond Coat™ powder coating on the logs, railings and Bimini hardware create a unique, subtly beautiful work of art. The interior has been carefully designed to please, too. Four couches, each with a Stow More™ seat storage system, provide comfort and conveniently accessible storage. 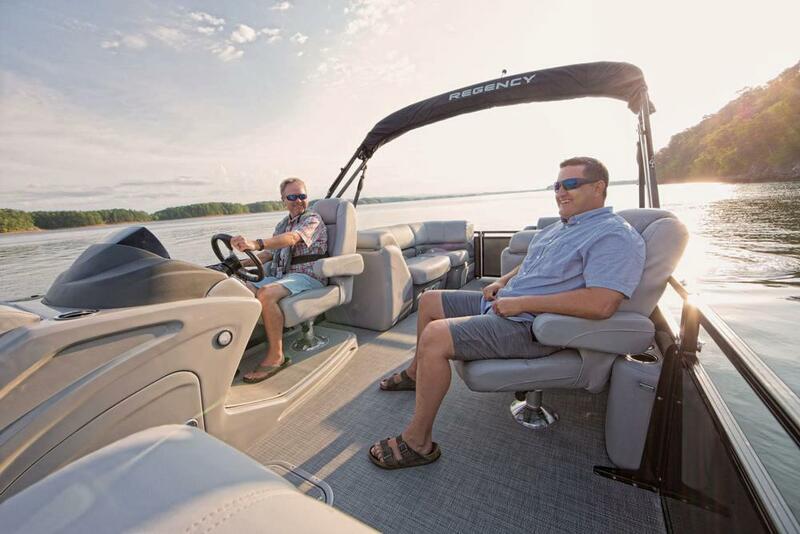 And the co-captain and captain chairs both swivel and recline for comfort. Elevated experiences come standard onboard the 230 DL3 from REGENCY.